Shanna has more than 20 years of experience in the financial services industry and specializes in working with female entrepreneurs, business owners and leaders as well as individuals experiencing life transitions such as marriage or divorce. Her main focus is helping others take charge of their financial future. After years of struggling to fit into the corporate mold, Shanna made the decision to become an independent advisor. She earned a bachelor’s degree in business from William Penn University and a master’s degree in organizational management from the University of Phoenix. Shanna currently holds FINRA Series 7 and 66 licenses and the Accredited Asset Management Specialist℠ designation. She considers herself a life-long learner and keeps apprised of changes in the financial industry. 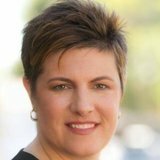 Since opening Heritage Financial Strategies, Shanna has been a regular contributor to Investopedia.com, Kiplinger’s Personal Finance online, and Born2Invest.com as well as Gilbert Woman Magazine. She makes frequent public speaking and guest radio appearances in Phoenix and nationally as well as hosts her own podcast, “Making Money Fun” which can be found on iTunes. Securities offered through Registered Representatives of Cambridge Investment Research, Inc. a Broker/Dealer, member FINRA/SIPC. Advisory services offered through Cambridge Investment Research Advisors, Inc., a Registered Investment Advisor. Cambridge and Heritage Financial Strategies are not affiliated.